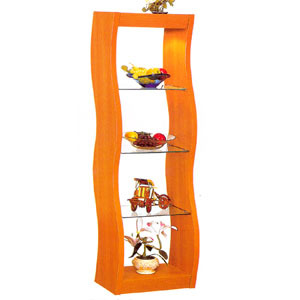 Curio with 3-Glass Shelves in Light Cherry. Size: 16 1/2W x 11 13/16D x 62 3/16H. All Measurements Are Approx.